Riteish Deshmukh will soon be seen in Chhatrapati Shivaji Maharaj biopic, which is a Marathi film that he is producing, as well as playing the legendary titular character. Commenting on his active participation in Marathi cinema, Riteish says, “I always wanted to do Marathi cinema and I finally got the opportunity to work in a film. Before that, I had produced two films (‘Balak Palak’ and ‘Lai Bhaari’). I am born in a Maharashtrian family and it goes without saying that I will work in Marathi cinema, even if no one watches.” Interestingly, Salman Khan has agreed to play a small part in this project. 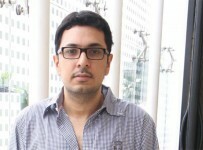 ​Revealed: Imran pushed Katti Batti ahead!